As I prepare to welcome my fourth baby this winter, I’m mindful of establishing healthy home habits to keep my family organised. I’m mindful of the fact that after hovering on the line with three kids, my family is about to grow into ‘big family’ territory. Understandably, I’m curious about how mums with big families manage to keep on top of everything. How on earth do they do it? I’ve discovered an abundance of simple, practical tips from mums of big families; bloggers who share everything they know about raising kids, meal planning, staying on top of the housework and getting to school on time. 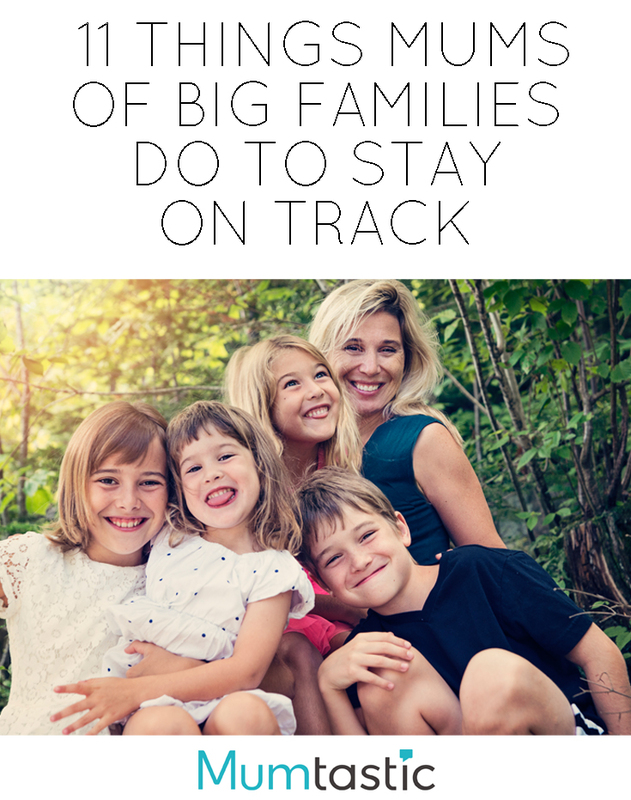 I’ve made notes on their top tips for big families – the things they do every day to help them stay on track (and, presumably, sane). Click through the slideshow above to find tips on school routines, food, laundry, time management and more.